West Frankfort…. On Wednesday Representative Dave Severin (R-Benton) held his first Satellite office hours at the West Frankfort Public Library. As a token of his appreciation, Rep. Severin presented Library Director Pam Sevenski with a copy 2017-2018 Legislative Blue Book, the Bicentennial edition, for those interested in learning more about the 100th General Assembly. 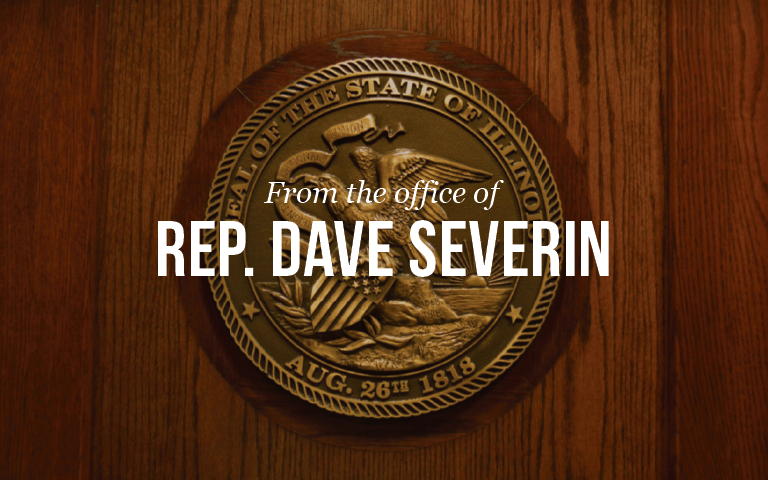 Rep. Severin will be holding satellite office hours throughout the summer, with the next one being held at Crab Orchard Public Library (20012 Crab Orchard Rd, Marion, IL 62959) on June 20th from 10:00 am to 12:30 pm.